Striker Timothy Weah headed in the opener after 14 minutes before Buddies 'keeper Vaclav Hladky saved an Olivier Ntcham penalty. Neil Lennon's side host Livingston on Saturday in the last match before the split and it is surely now a matter of when, not if, the league is won. 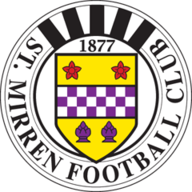 Oran Kearney's St Mirren remain two points ahead of bottom side Dundee. Burke slashed a shot wide of the target and then, just before the half-hour mark, Buddies midfielder Kellerman inexplicably handled from Izaguirre's deflected cross. However, Hladky parried Ntcham's unconvincing spot-kick with the French midfielder lofting the rebound over via the top of the bar. 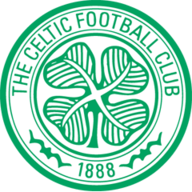 In the 52nd minute Hoops 'keeper Scott Bain did well to tip Cooke's curling shot past the post after a mix-up in the Celtic defence with Haiti international Nazon missing a header at the back post from the subsequent corner. Christie, on for Ntcham after 64 minutes, looked lively as he rallied his team-mates and his goal eased the nerves albeit 'keeper Hladky was unsettled after a firecracker of some sort appeared to go off beside him.